Back in July this year we talked about Britain’s sugar crisis and the impact sugary foods and drinks were having on our dental health. Over recent months, the concern over the issue has continued to grow and now the Government is under serious pressure to drop its opposition to a tax on sugary drinks. This follows the publication of a hard-hitting report from MPs, which says a 20% levy is an essential part of any national strategy to tackle child obesity. The cross-party group of MPs acknowledged that no single measure would provide a solution to the problem, but that a tax could “no longer be ignored”. Believing it could help reduce the problem significantly, it’s the one measure UK Government are now seriously considering. What’s more, evidence from other countries, such as Mexico, show that a tax on sugar might just work. 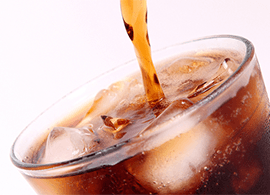 After introducing a tax of 10% on sugar-sweetened drinks, the country saw a 6% reduction in consumption. Combined, these measures are thought to reduce interest and access to unhealthy and sugary food, improving overall health over time. Where are children getting their sugar from? The Government already know that sugary drinks are one of the major culprits when it comes to sugar, but what are the stats when it comes to sugar intake? Children aged 4-18 get around 15% of their daily energy intake from added sugar. A large portion of this comes from soft and fizzy drinks. Sugars added to food shouldn’t make up more than 5% of daily energy intake for those aged from two upwards. Other culprits include cereals, cakes and biscuits; sugars, sweets and jams; and milk products. Adults, aged 19 over, get their added sugar from similar sources, but alcohol also plays a role. For a typical adult aged 19-24, 10% of their added sugar intake will come from alcohol. To find out more about the impact sugar has on dental health, read our blog article from back in the summer. If you have any questions, concerns, or queries, you can also arrange an appointment to visit your dentist at AP Smilecare.